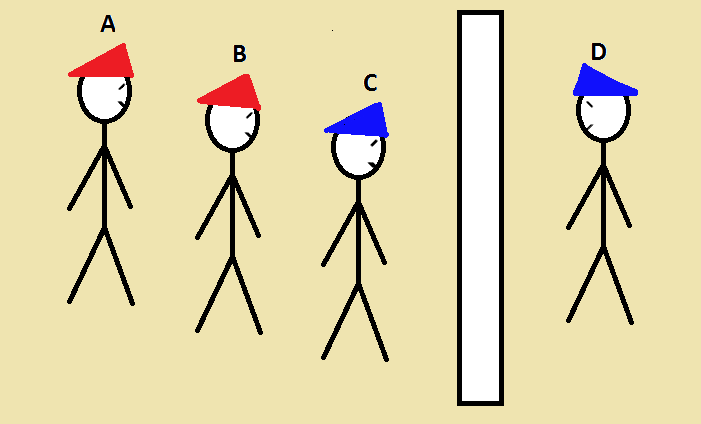 The prison warden then announces his beastly scheme: "Each of you has either a red or a blue hat on your head. There are two hats of each colour. One of you will be able to say -- with 99% certainty -- what colour hat you are wearing. Moreover, you should be able to do so within a minute. Should that person call out the correct answer, you are all free to go. 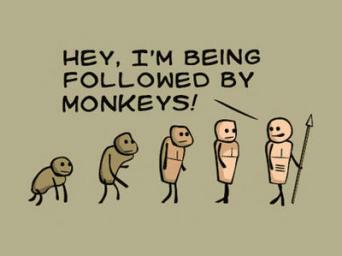 Failing that, you are all to be sentenced to death!" Nevertheless, Prisoner B realises this and -- given A's extended silence -- he deduces that he (i.e. 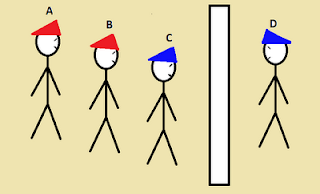 B) must be wearing a different colour hat to C. Thus, he simply looks at the colour of C's hat and calls out the opposite!